Born and raised in Piraeas. Graduated with honors from the Rallio High School for Girls. Was accepted with scholarship at the National and Kapodistrian University of Athens at the Dental School. Gained a Master of Science in Oral Pathobiology with clinical specialization in Oral Surgery. Preparing a doctoral thesis at the Dental School in collaboration with the Medical School at the department of Pathological Anatomy. Has attended dozens of seminars about Oral Surgery and Cosmetic Dentistry. Has presented papers at several conferences about Oral Surgery. From 1995 up to today is a Research Fellow for the University of Athens and has published several papers about Oral Surgery. Owns a private dental practice since 1995. Since April 2011 she opened a new dental clinic with 2 dental chairs. 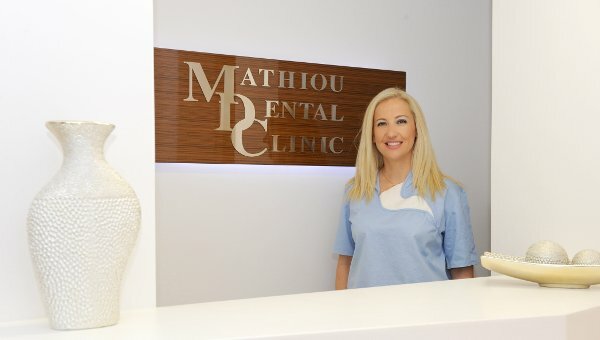 At the clinic, she practices General Dentistry, Oral Surgery, την Cosmetic Dentistry and Dental Implants.